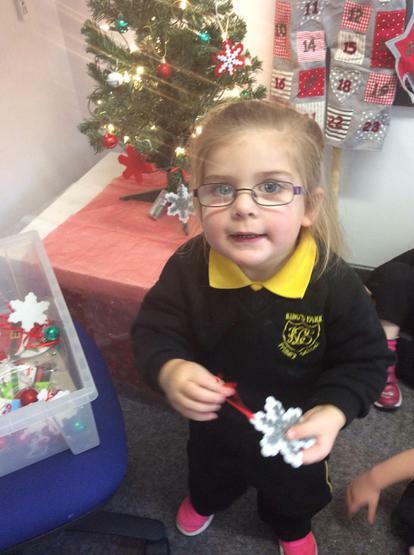 We all enjoyed our Christmas trip to Streamvale Farm! 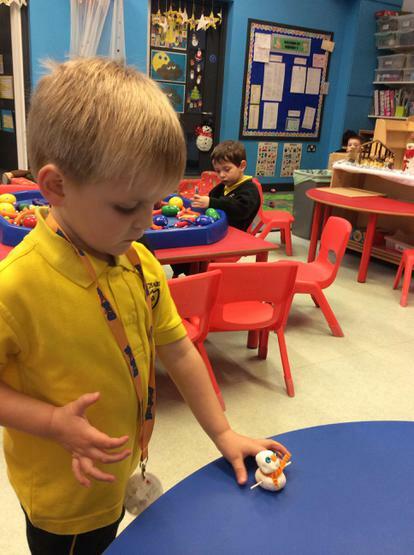 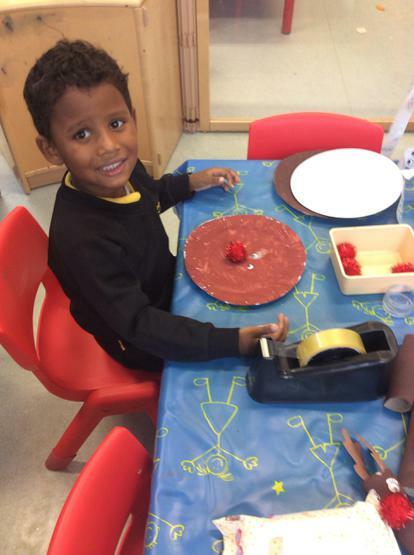 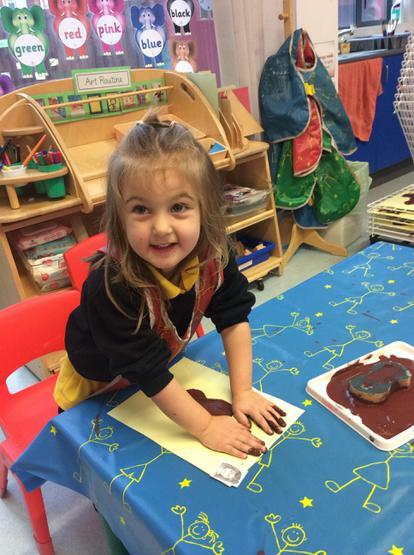 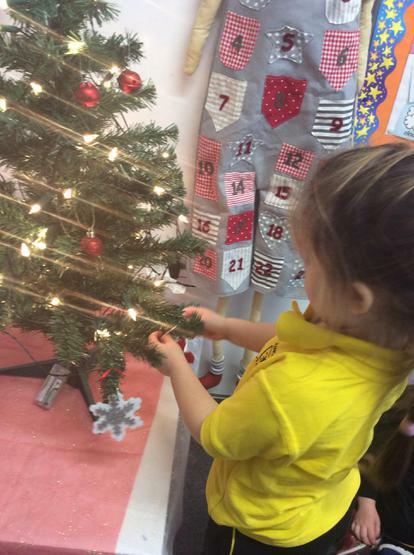 To see some of the photos of our trip, please click on the 'Educational Visits' section of the Nursery web page. 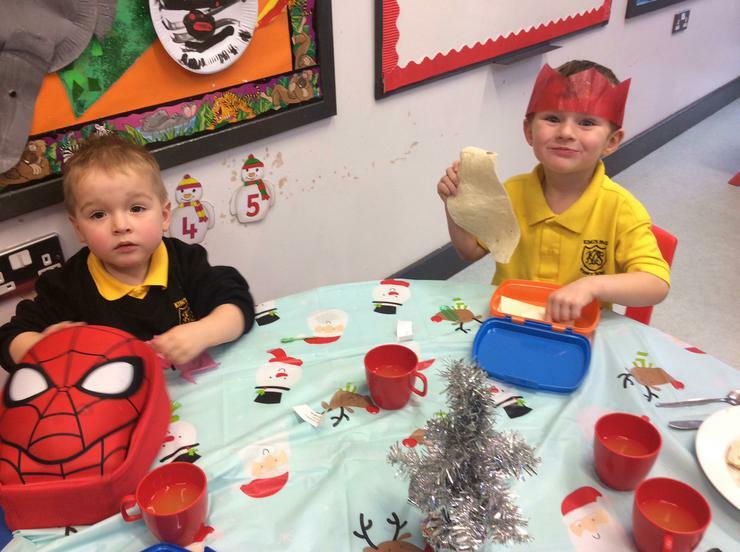 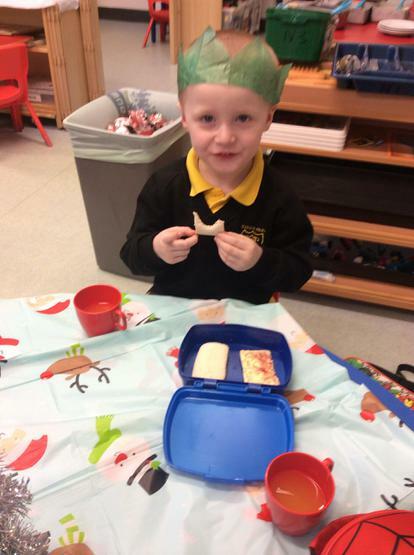 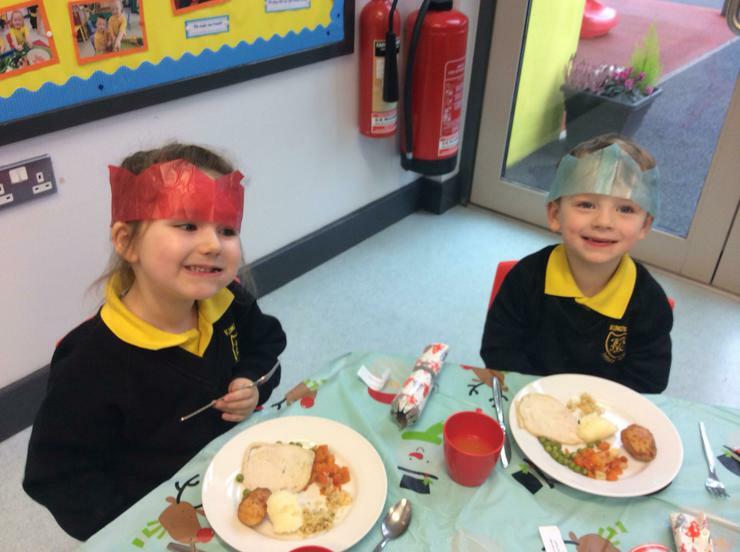 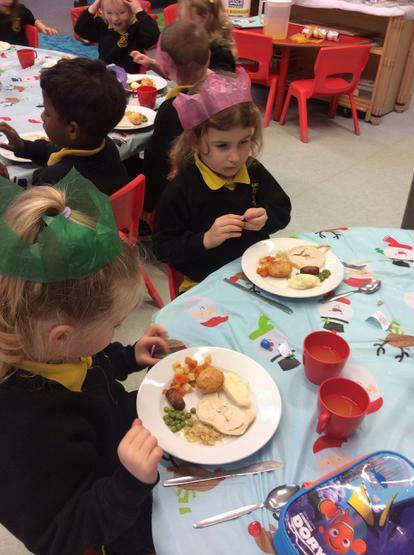 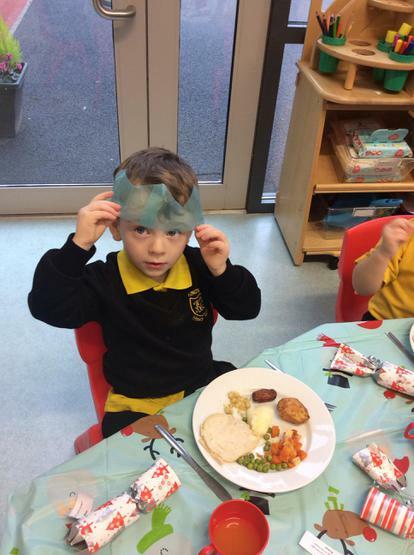 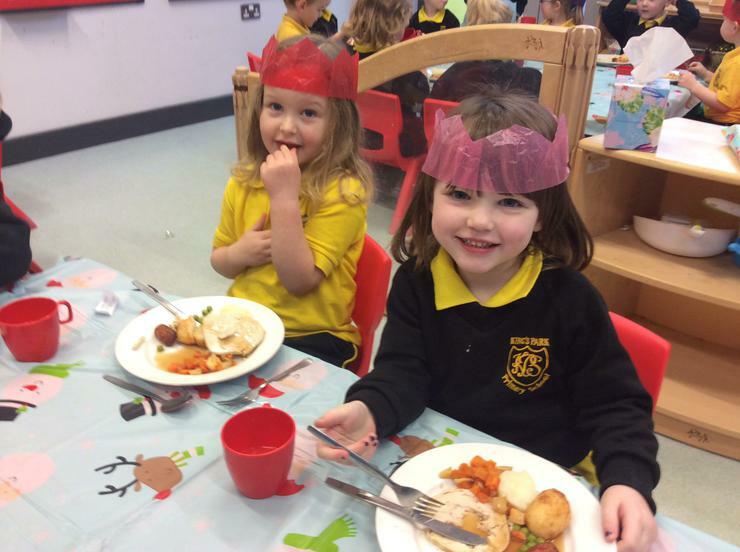 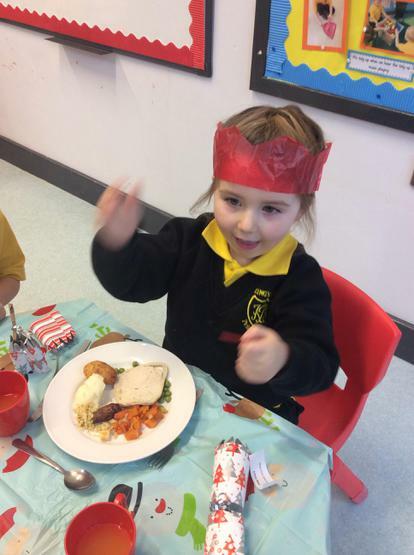 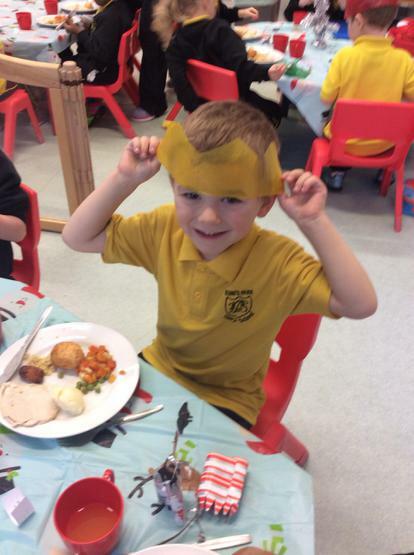 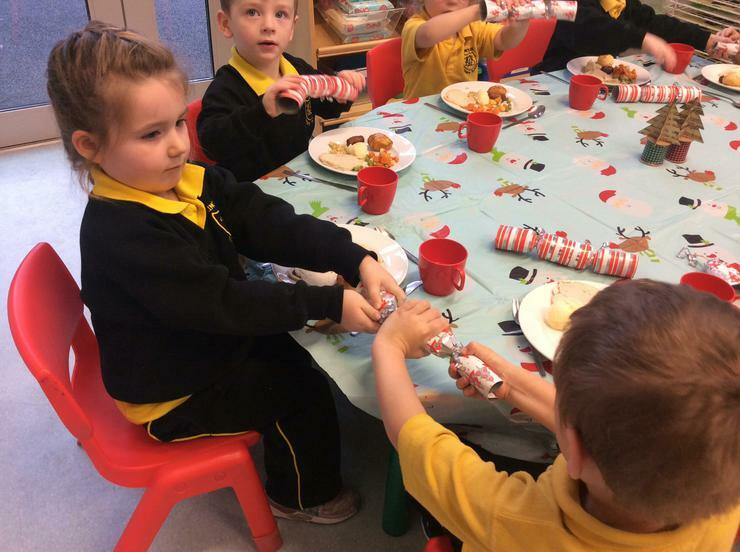 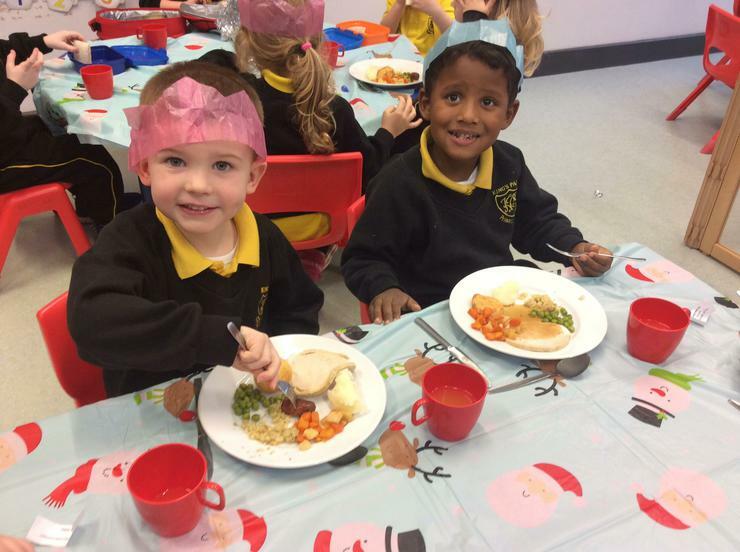 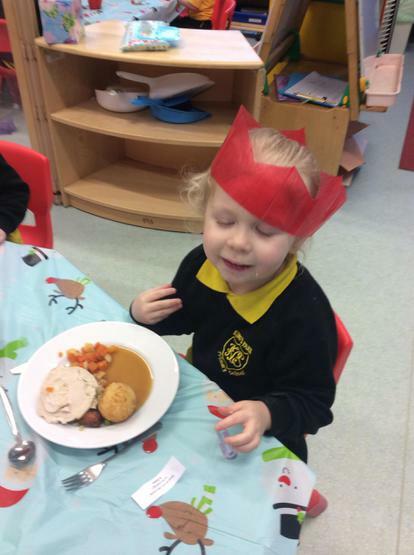 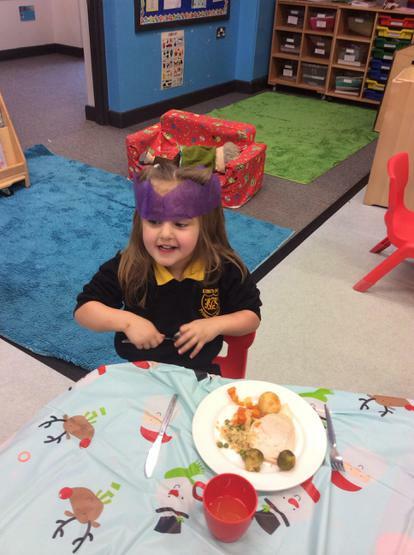 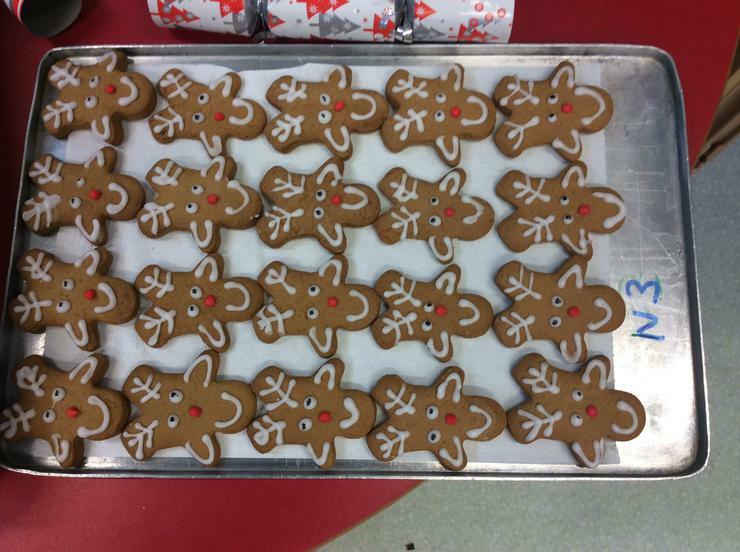 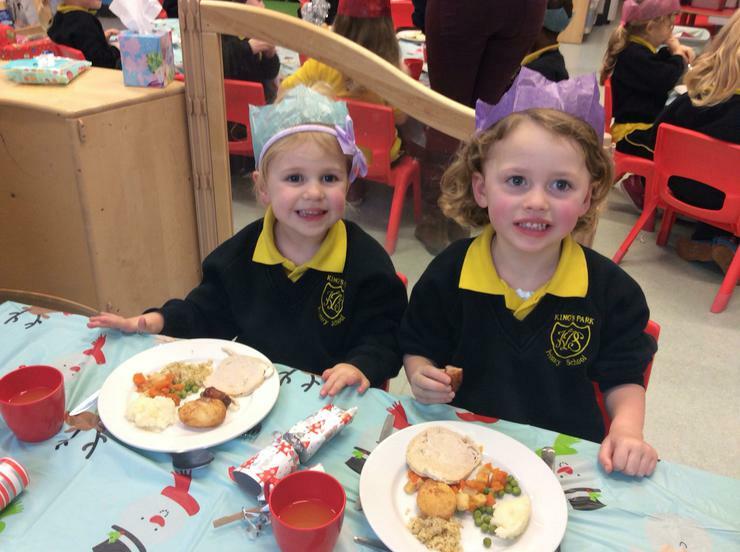 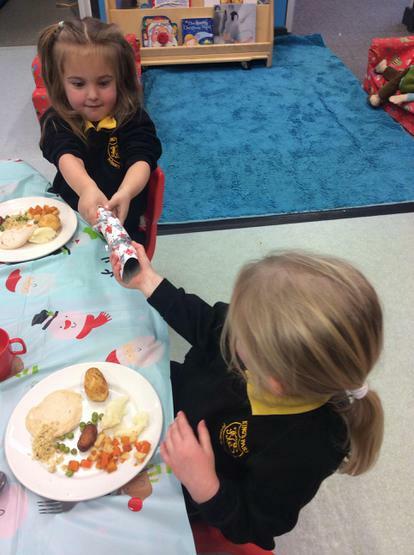 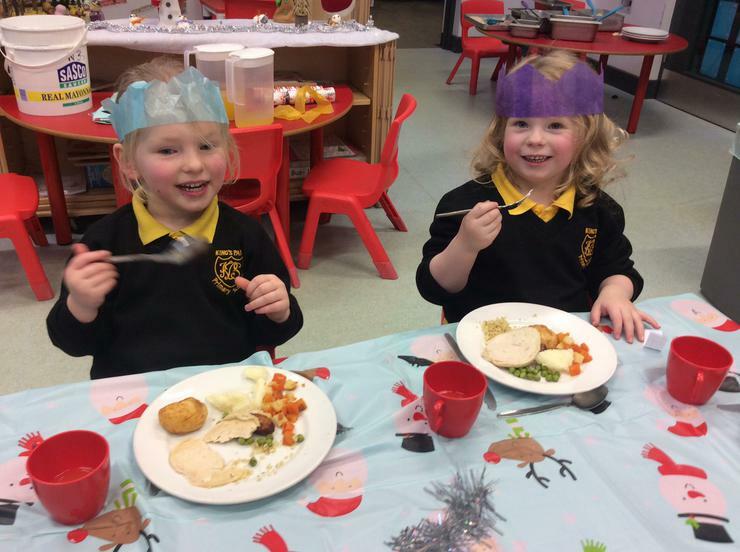 Thank you to the canteen staff for our delicious Christmas dinner! 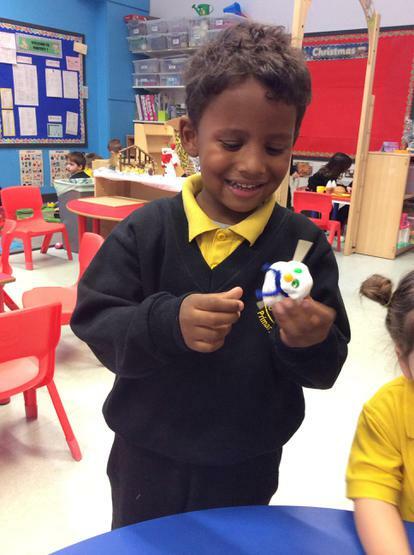 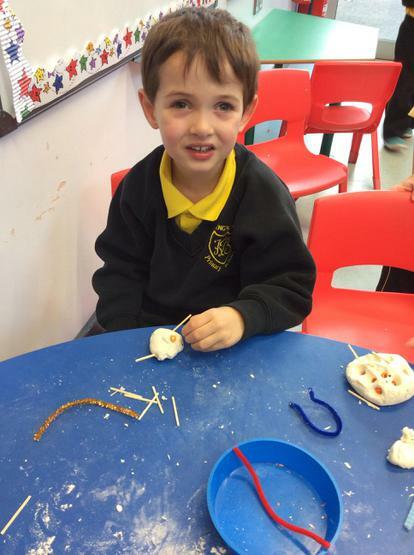 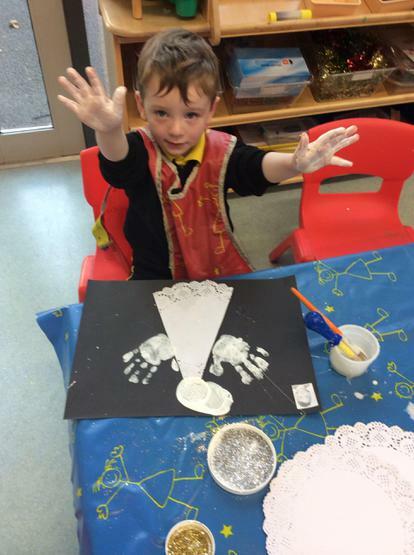 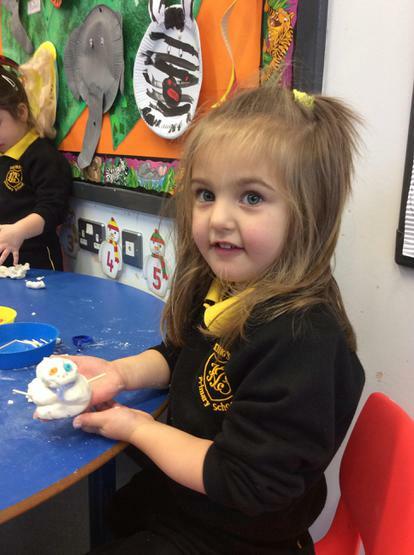 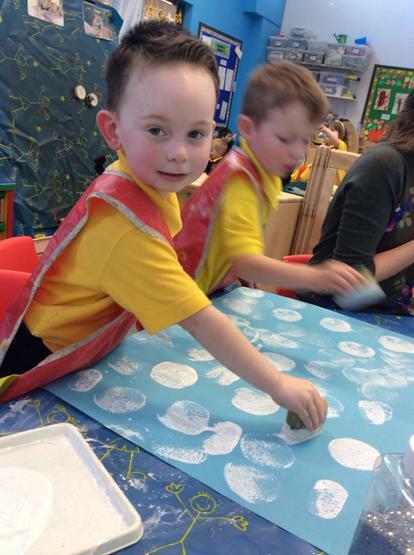 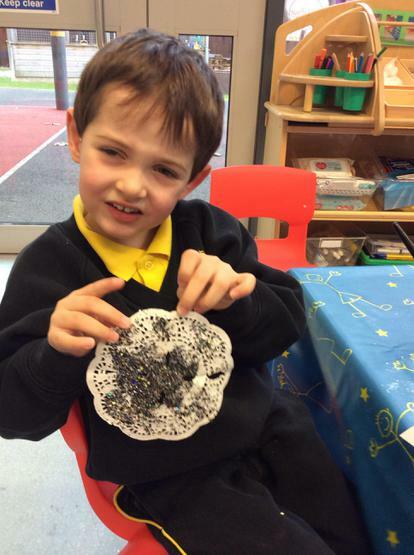 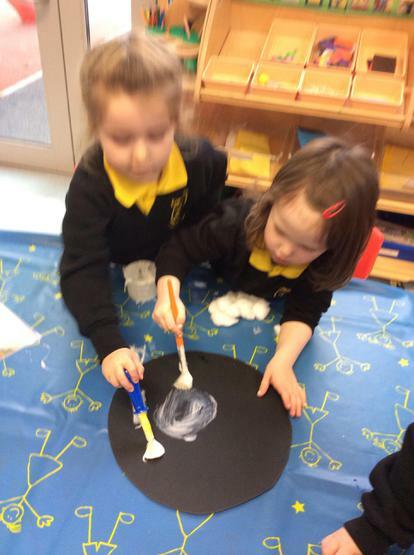 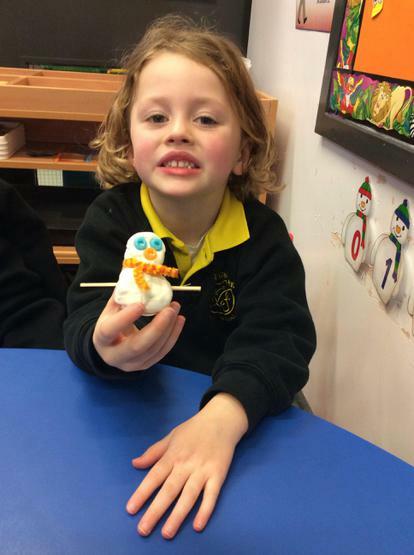 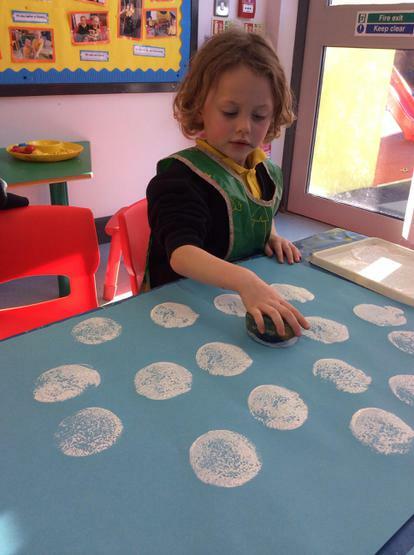 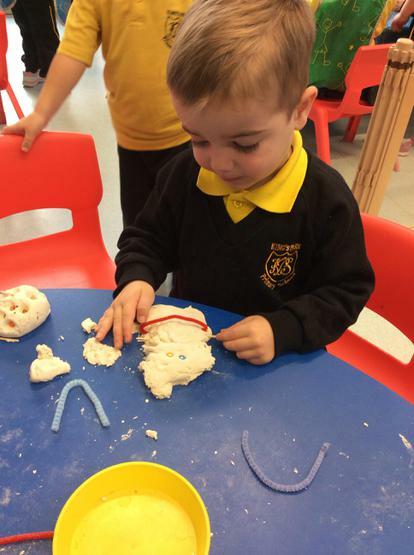 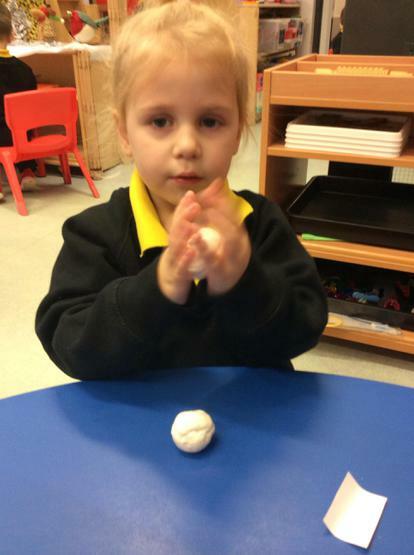 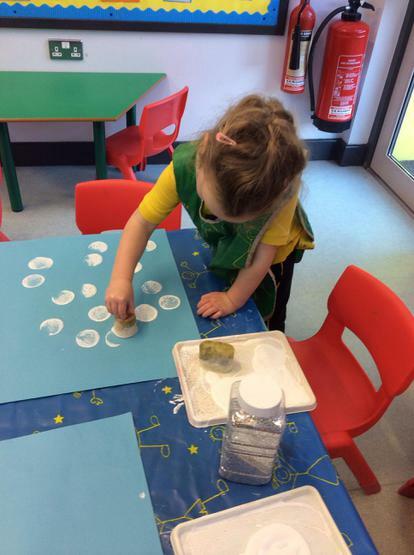 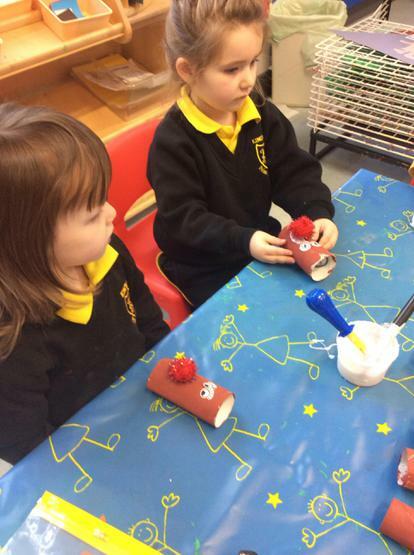 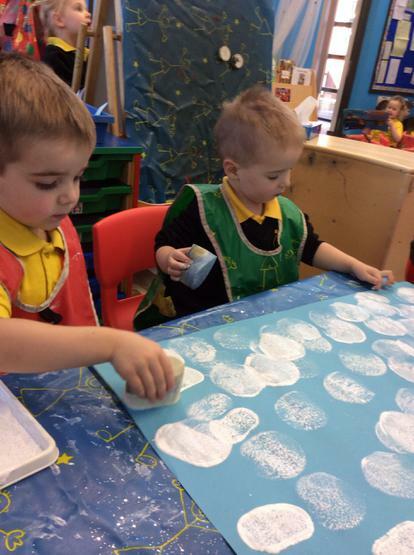 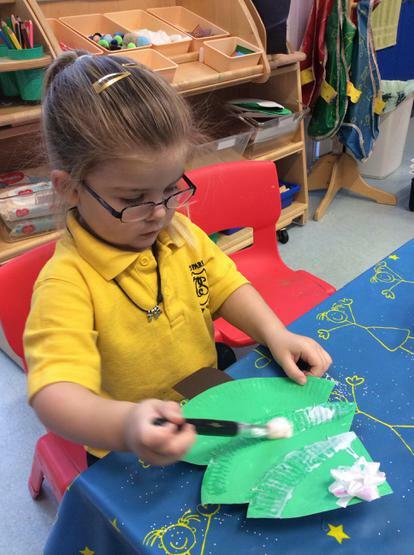 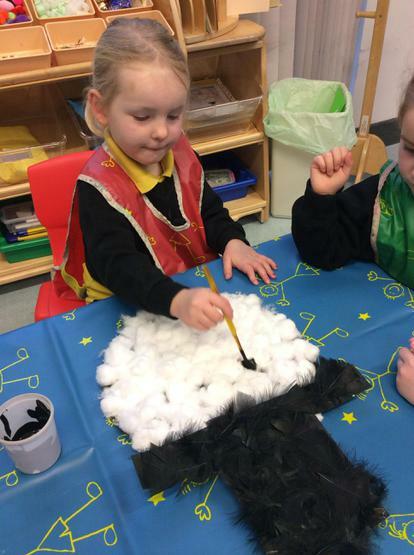 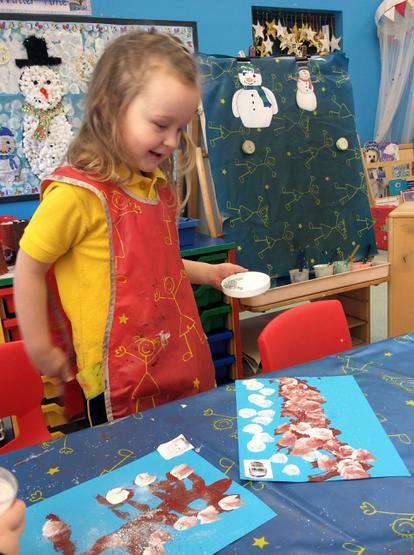 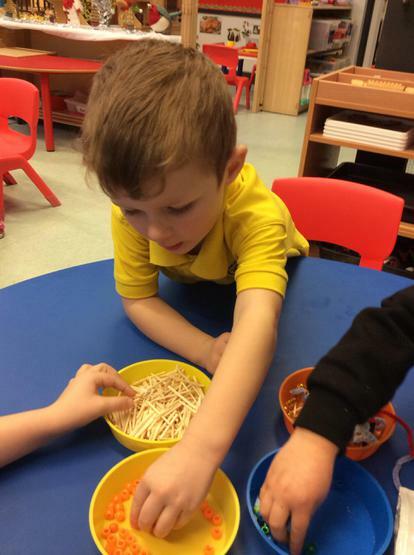 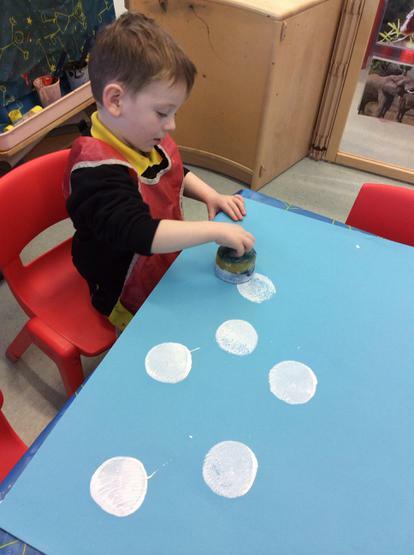 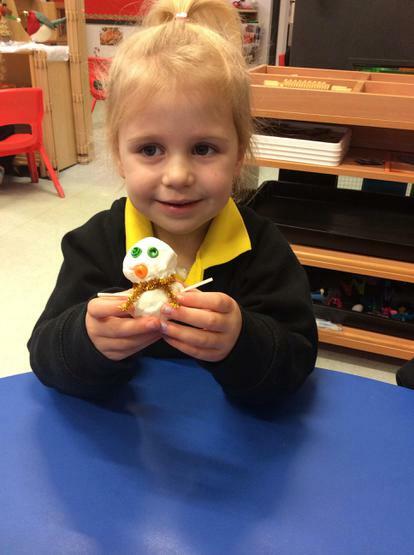 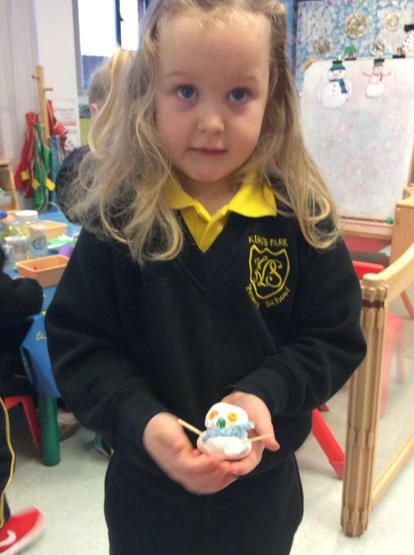 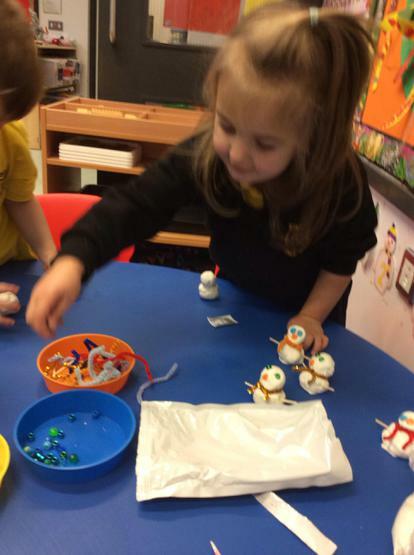 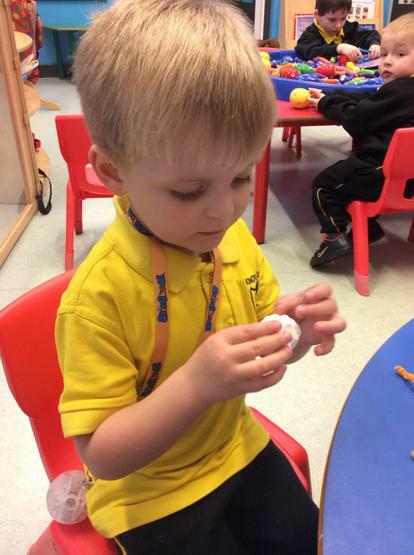 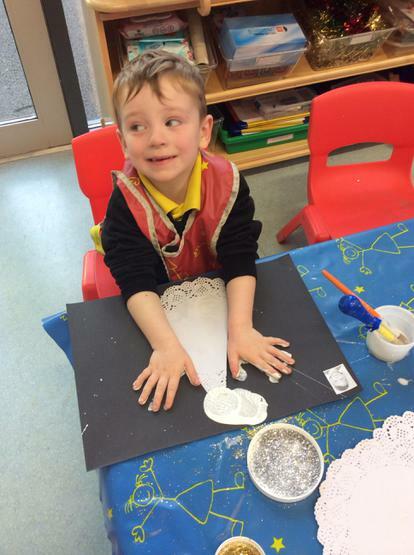 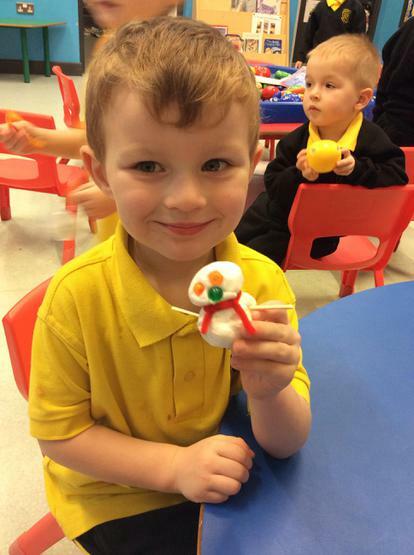 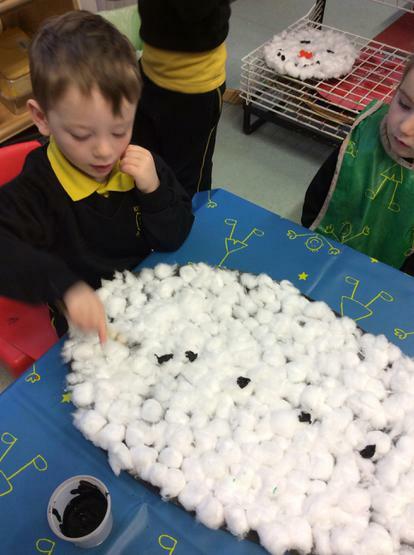 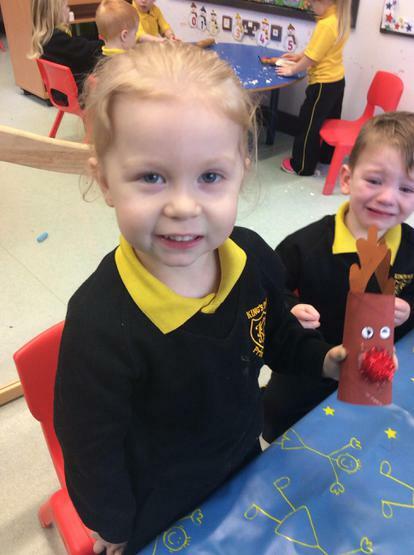 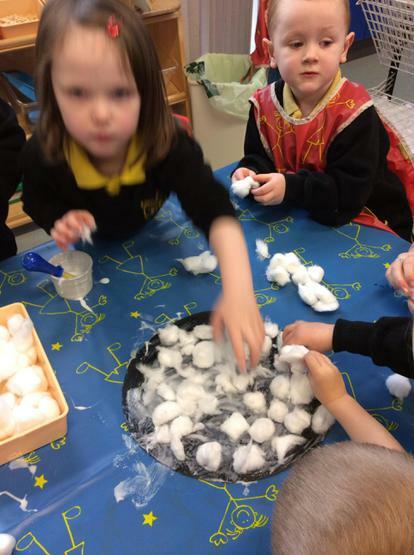 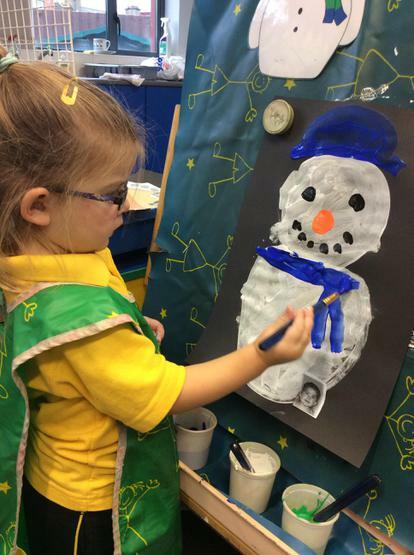 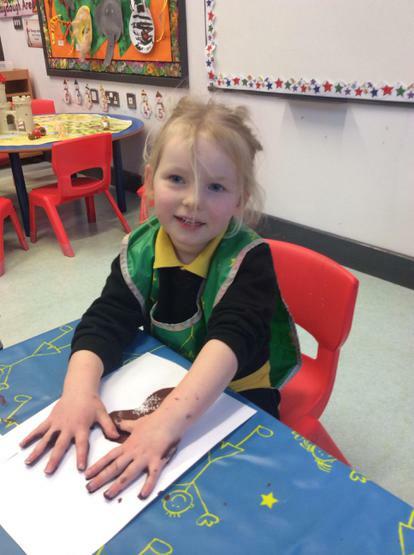 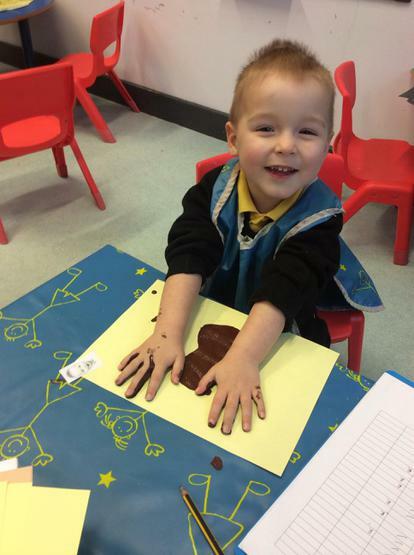 We had lots of fun making snowmen! 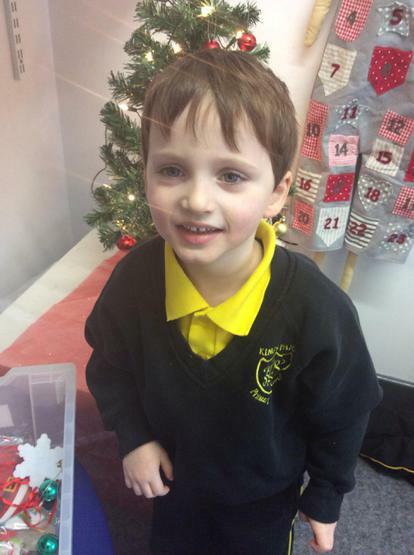 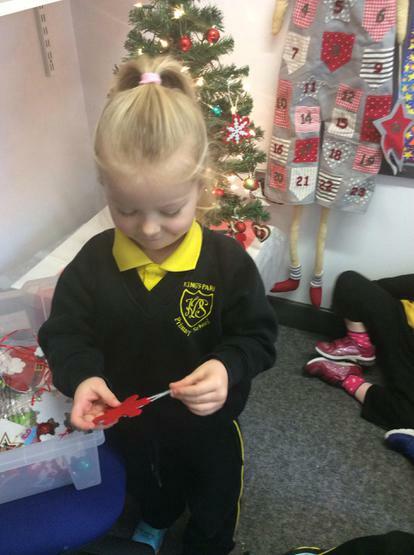 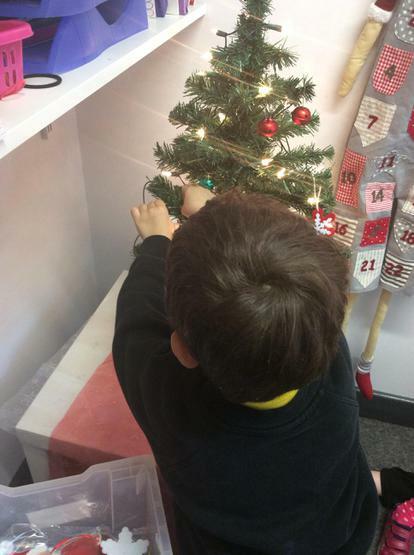 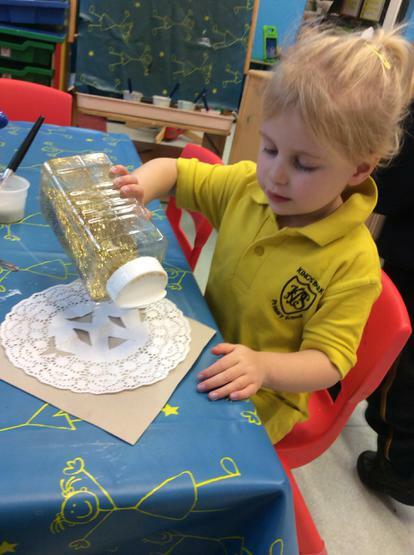 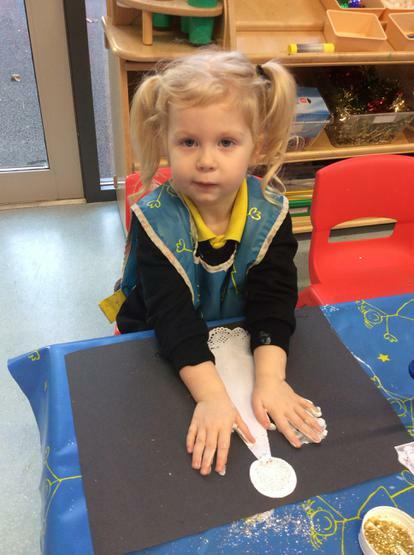 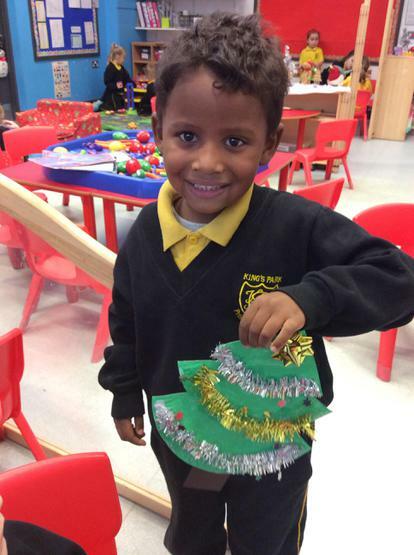 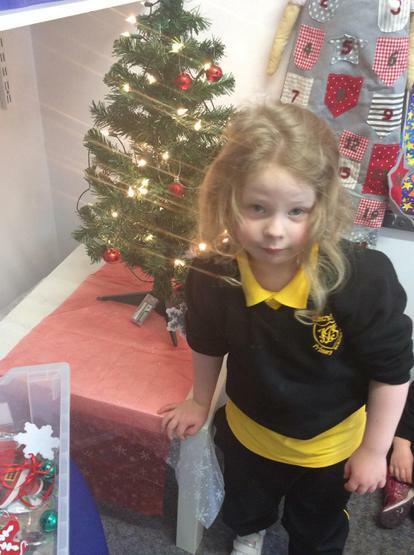 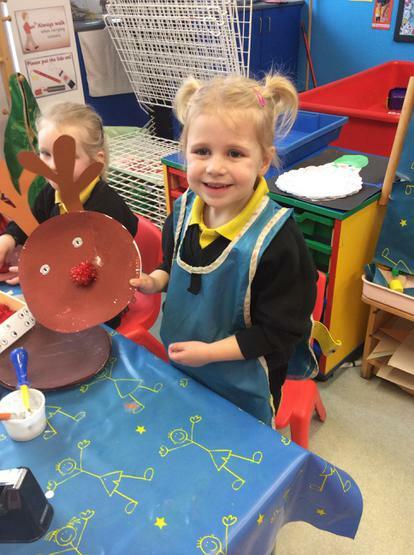 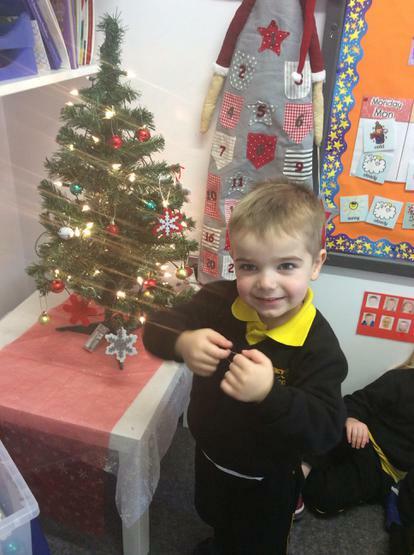 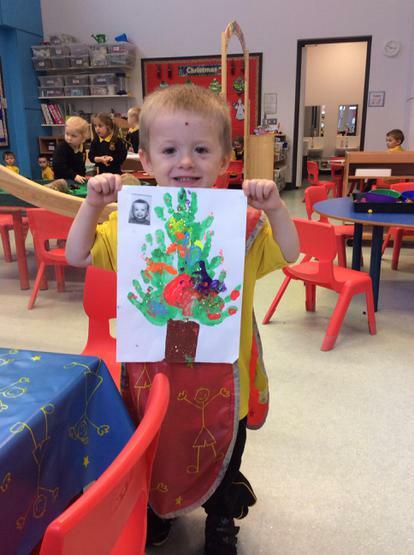 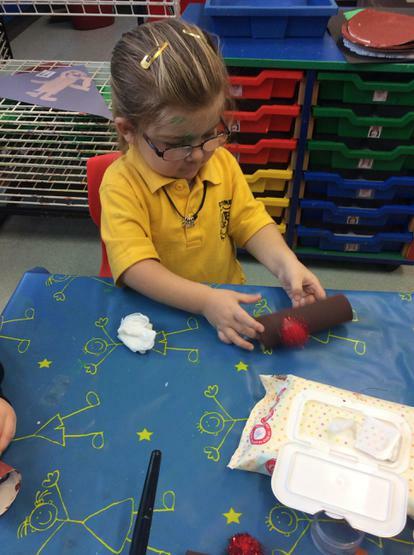 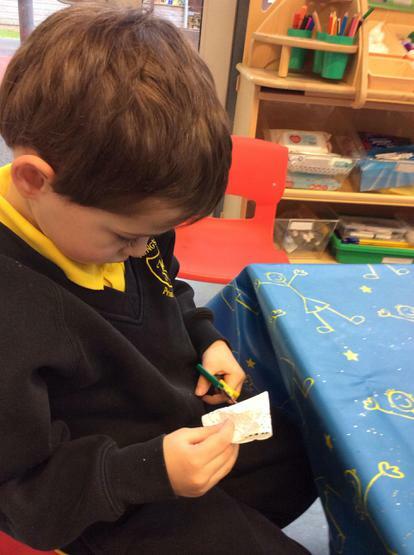 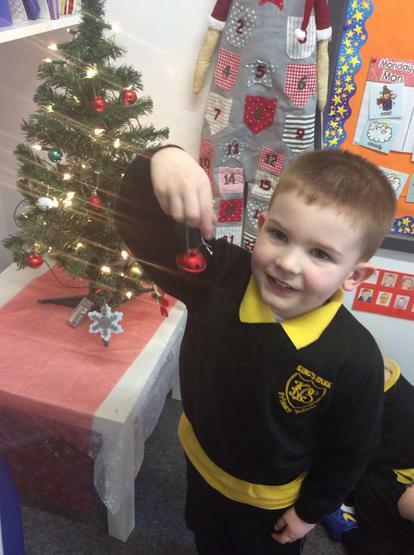 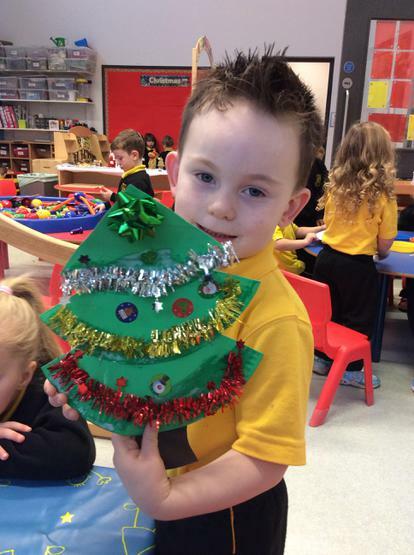 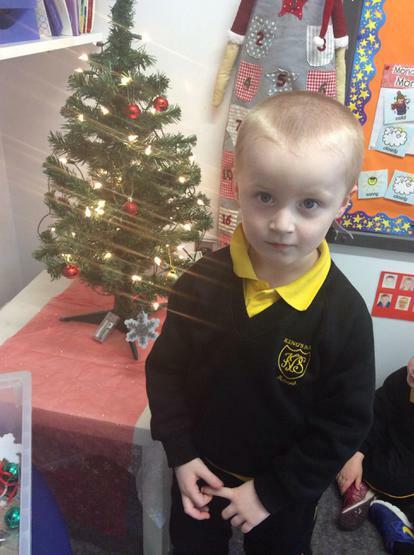 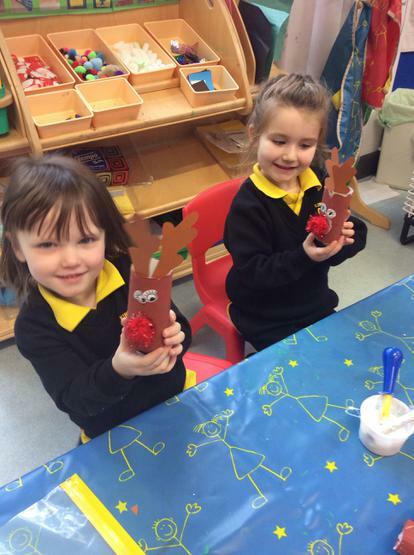 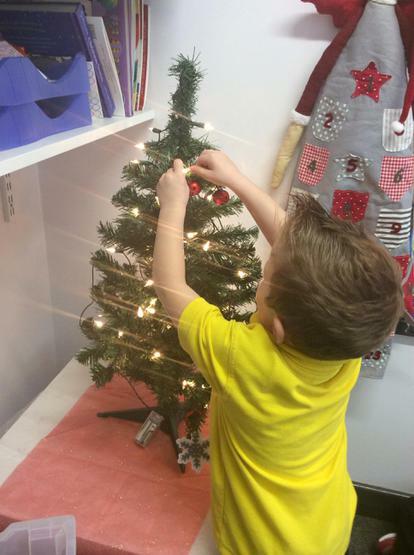 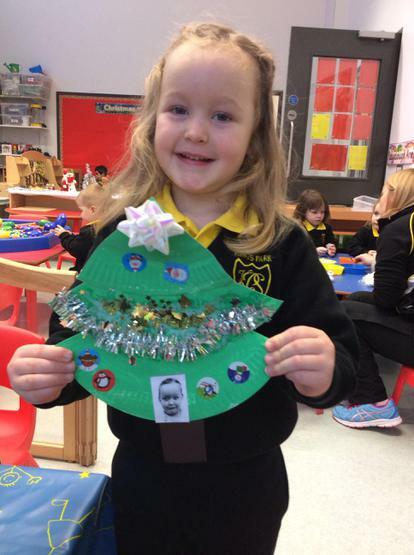 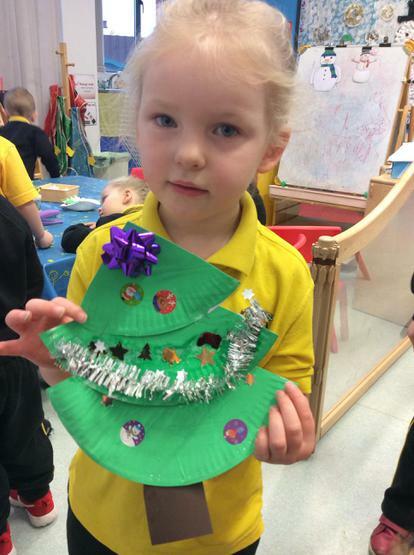 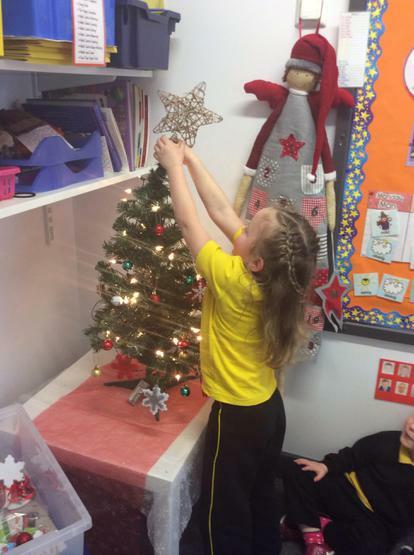 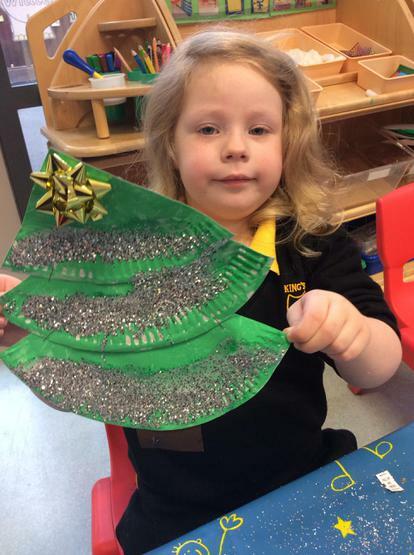 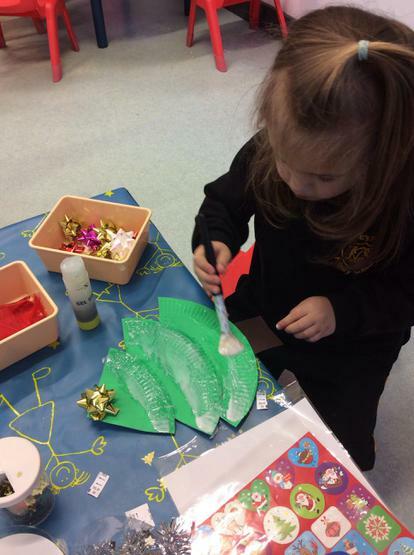 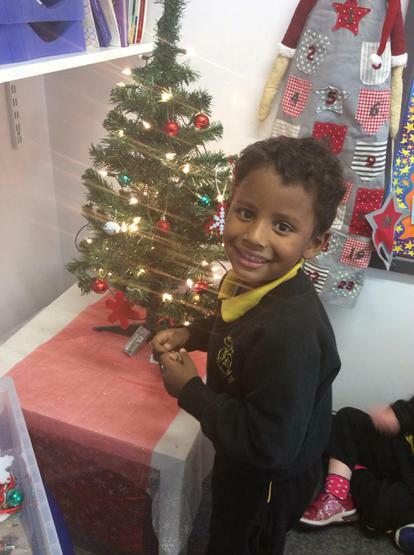 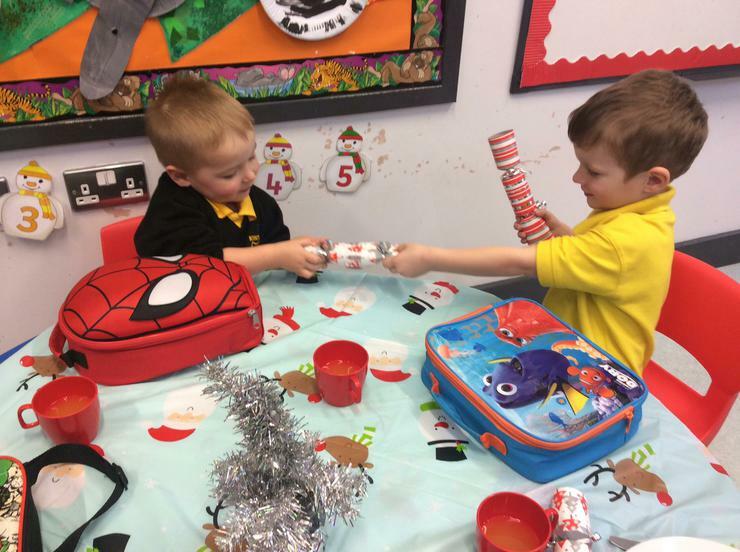 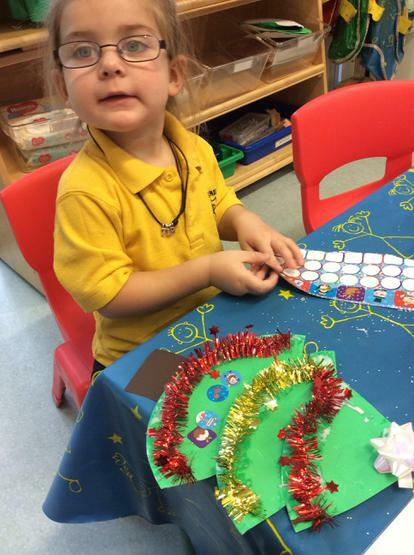 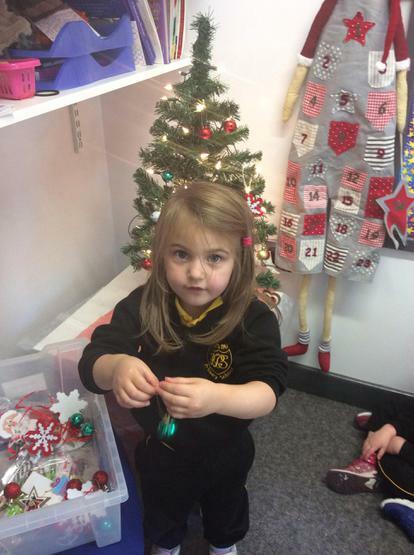 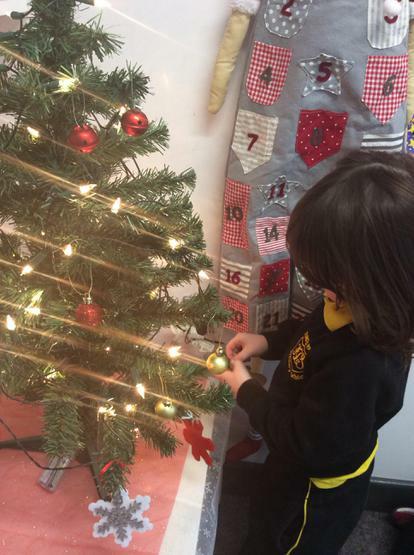 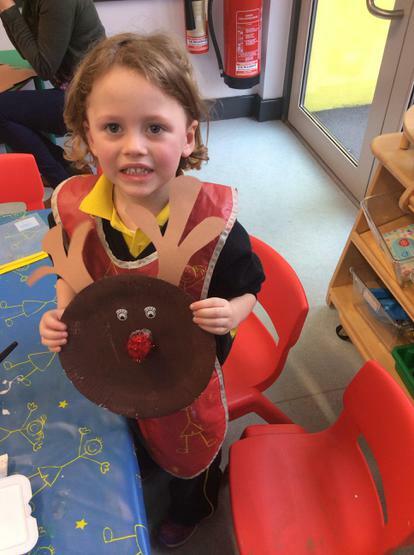 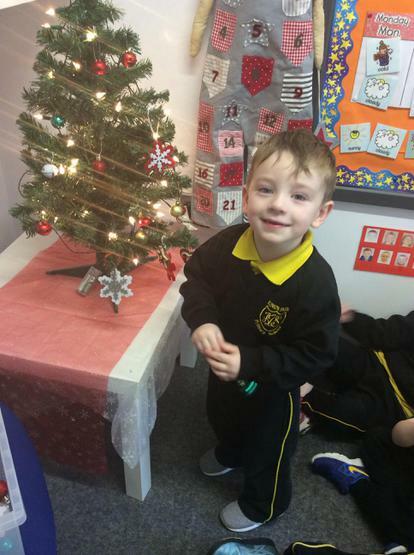 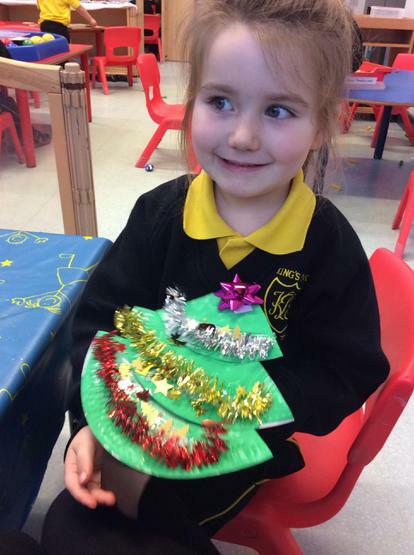 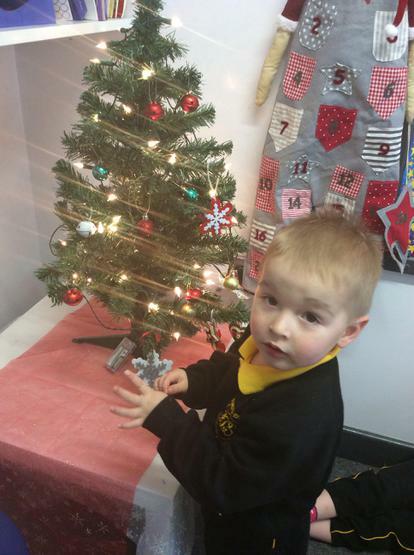 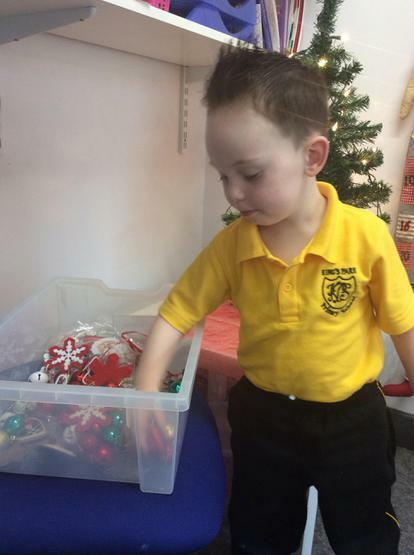 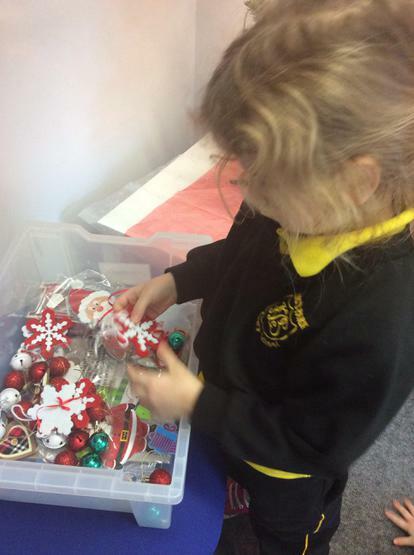 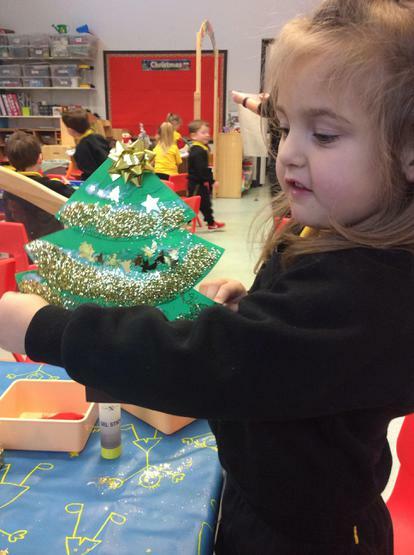 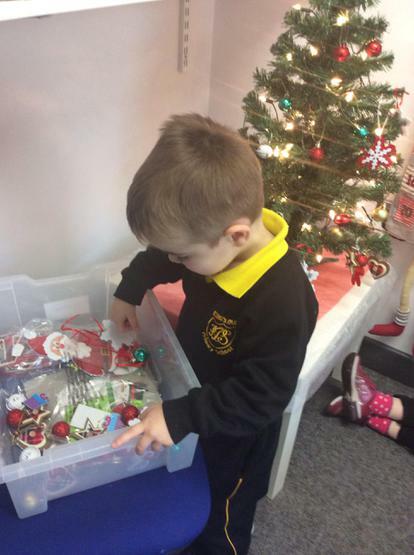 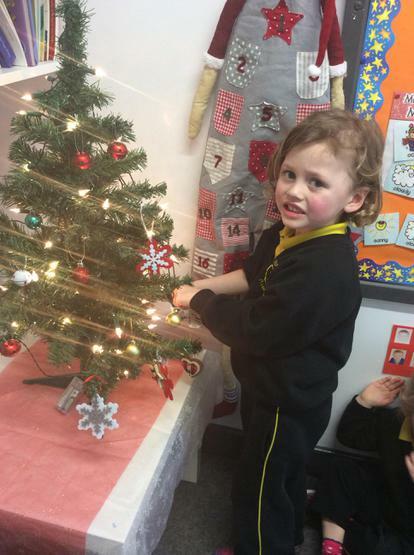 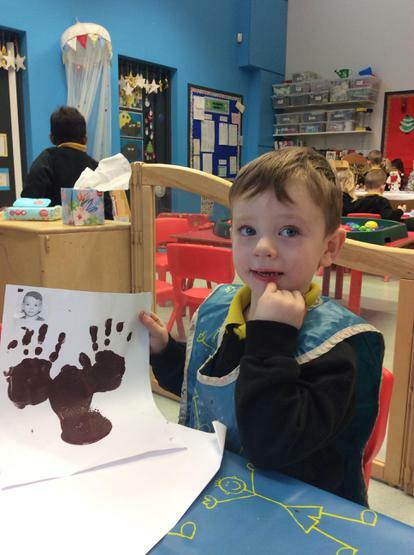 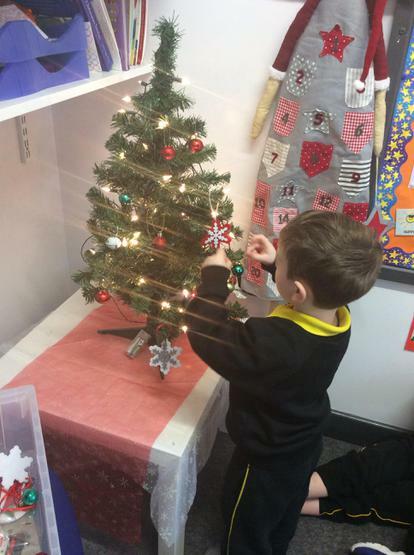 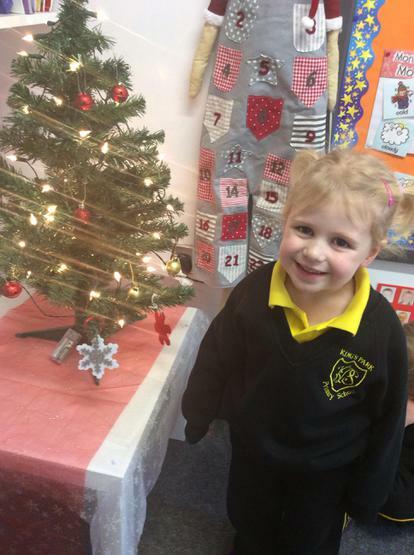 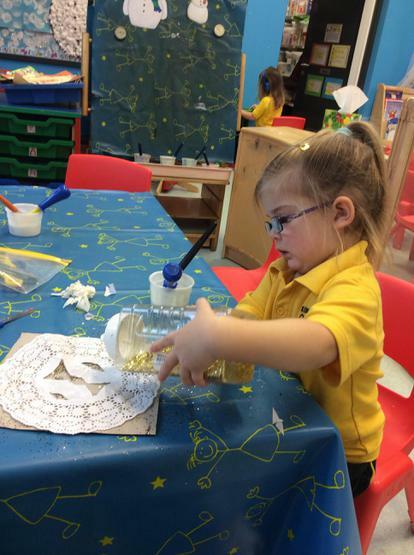 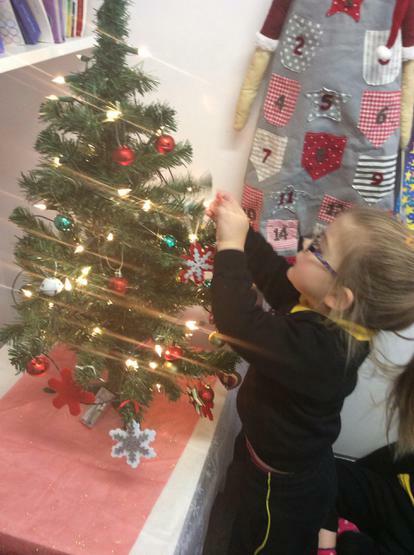 Decorating our Christmas tree in Nursery 3! 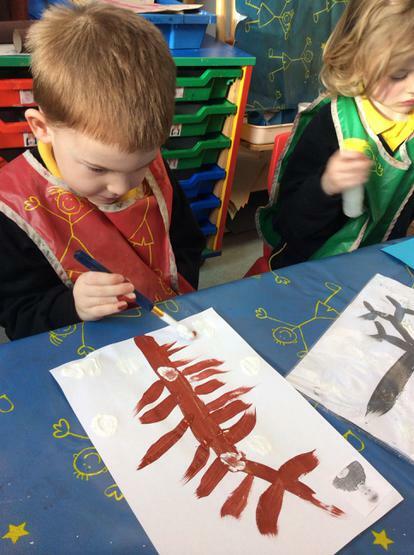 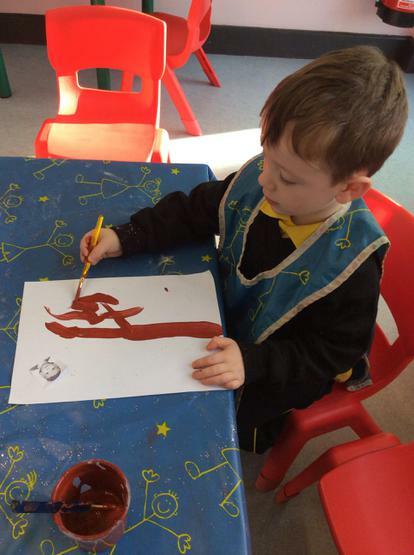 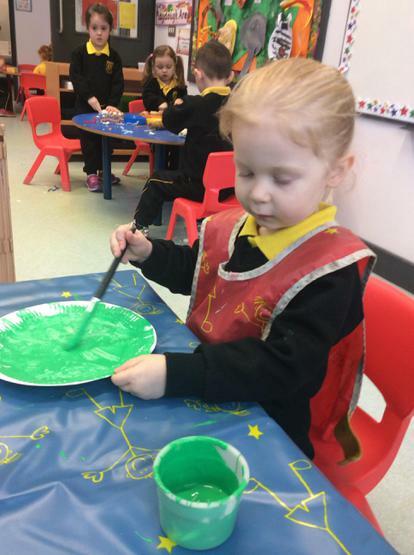 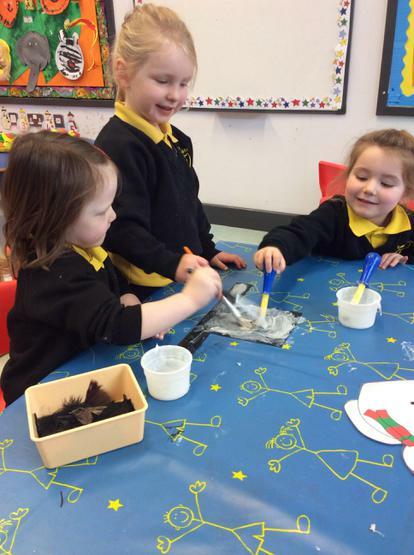 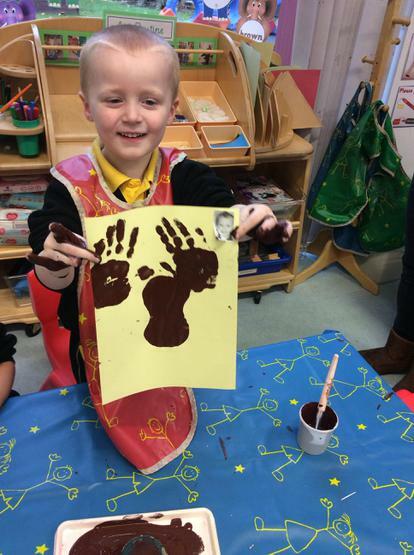 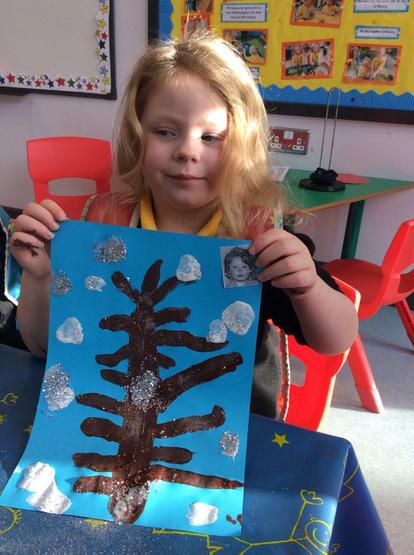 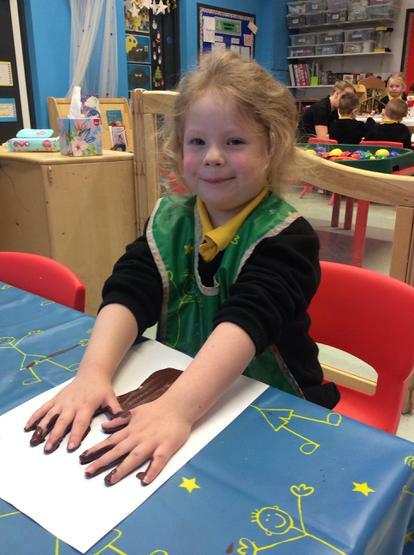 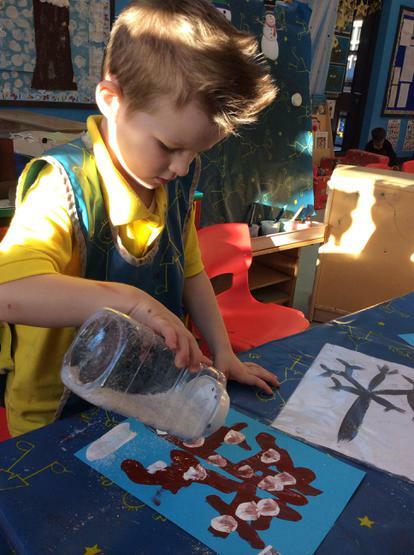 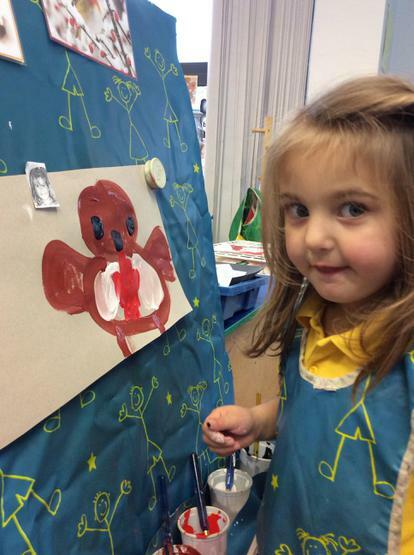 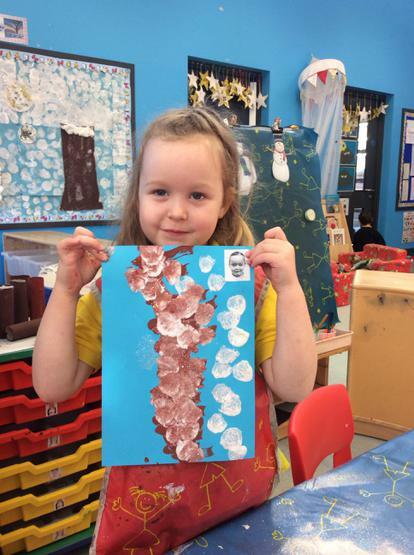 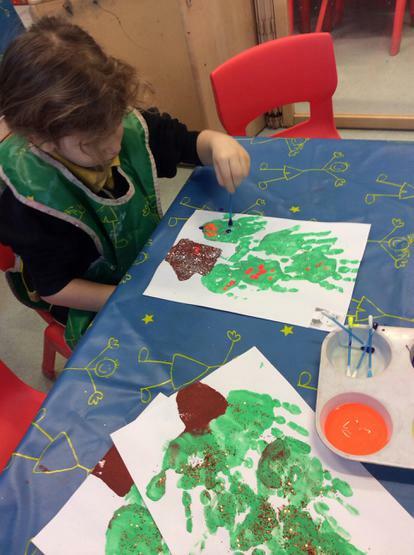 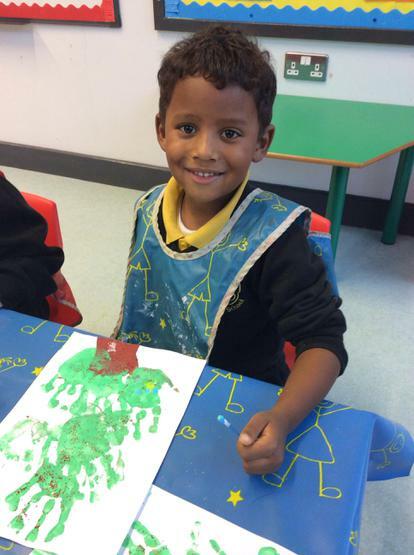 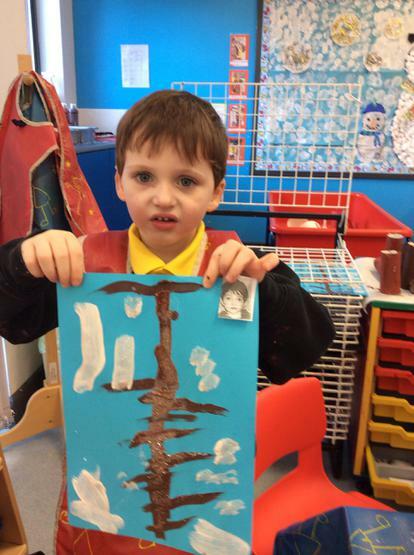 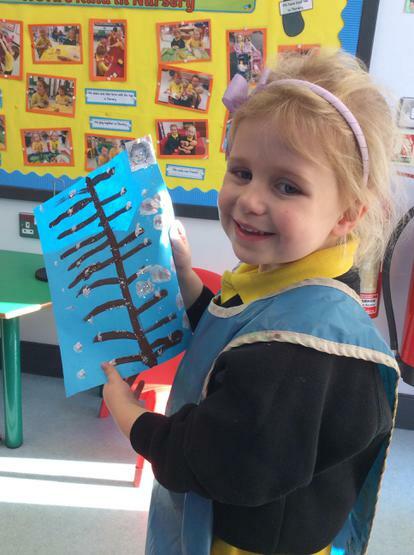 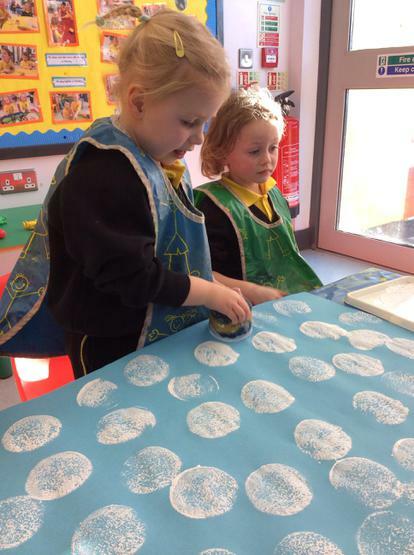 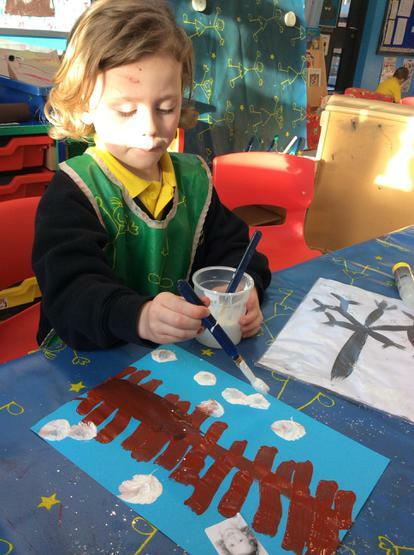 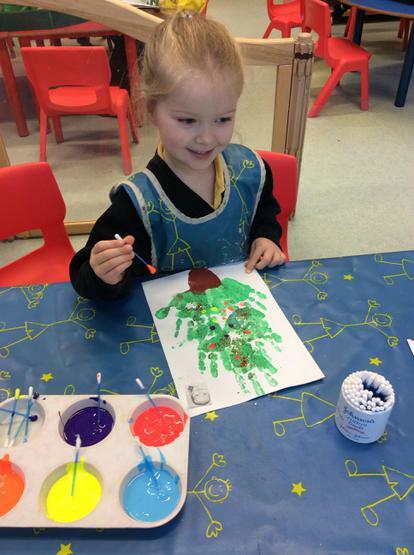 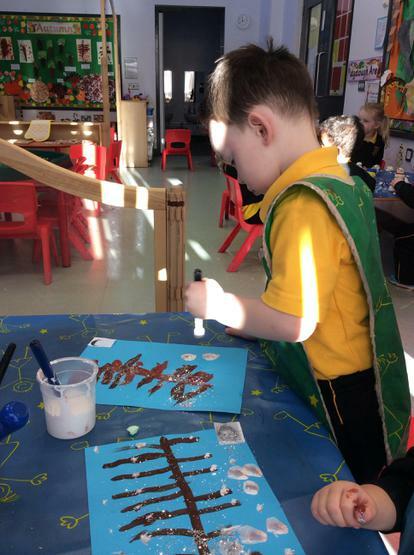 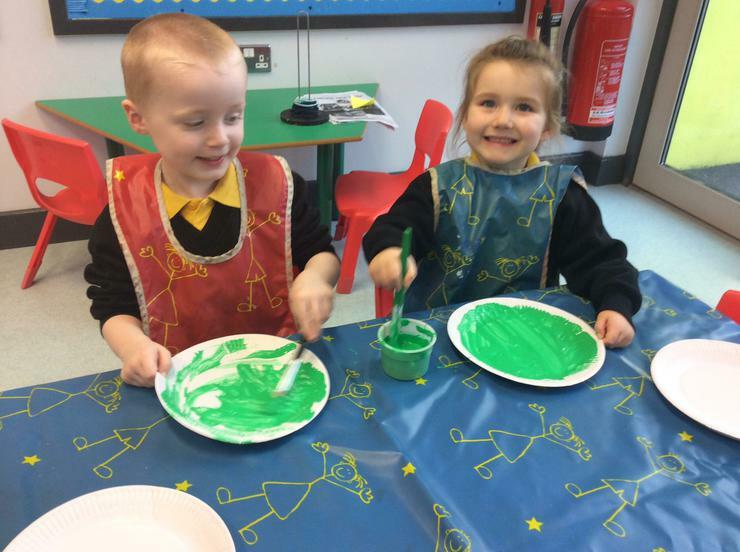 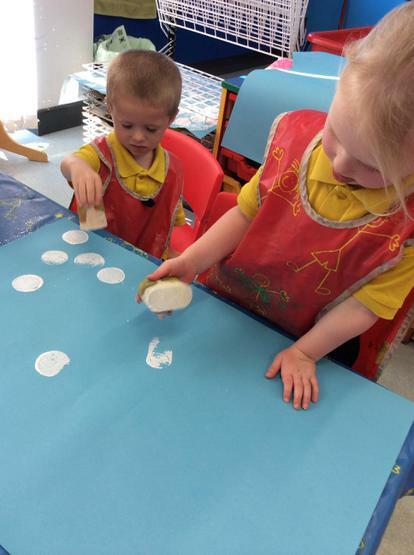 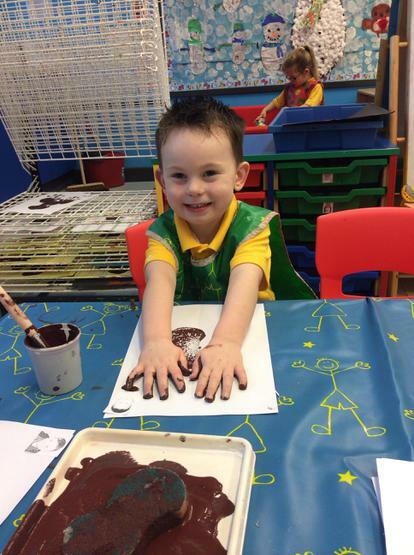 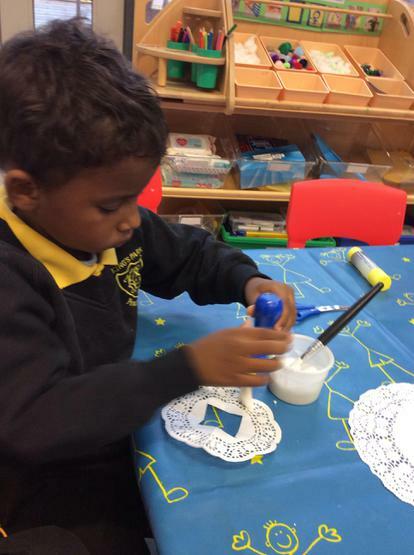 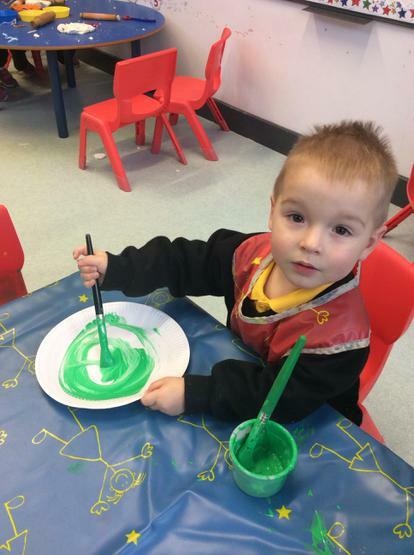 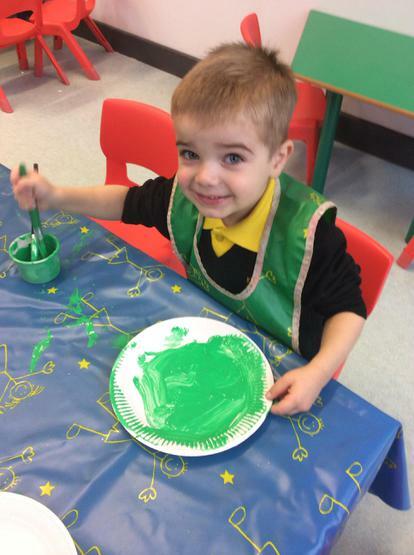 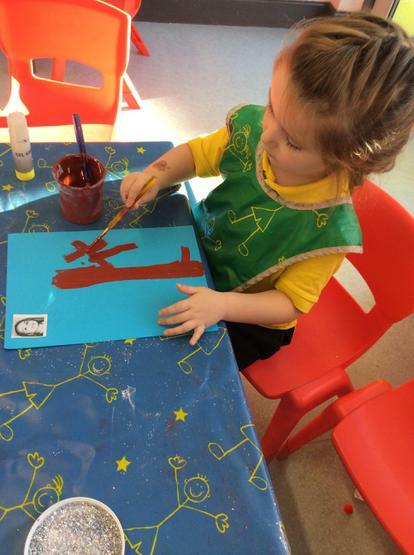 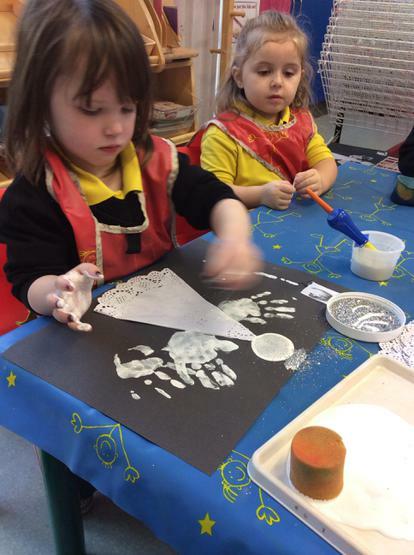 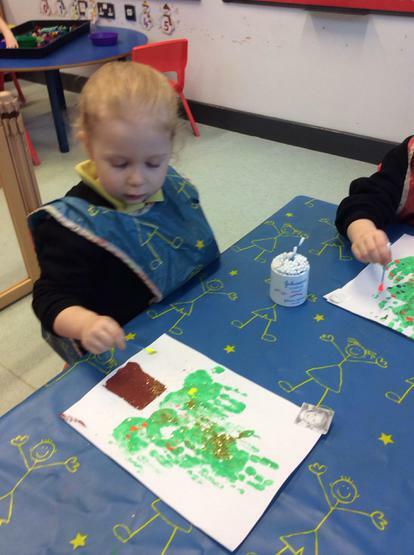 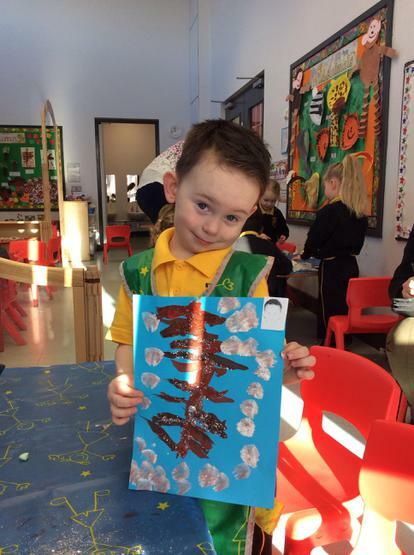 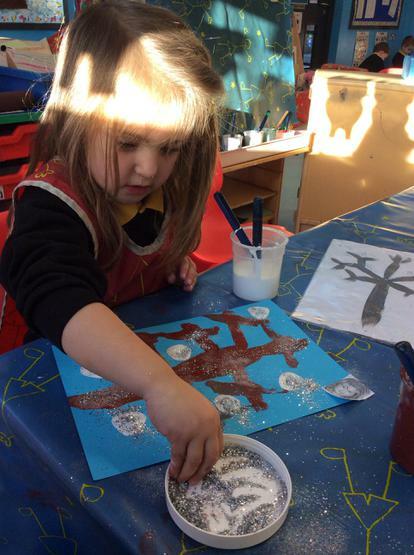 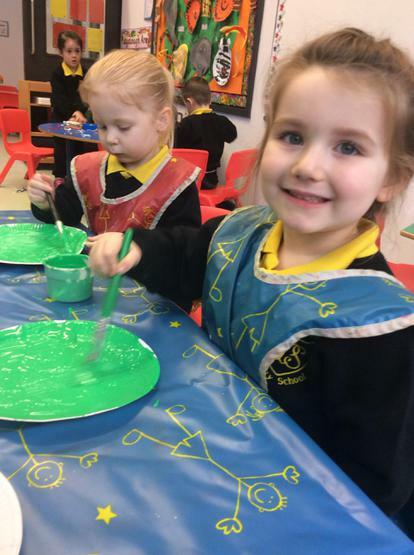 We painted beautiful winter trees! 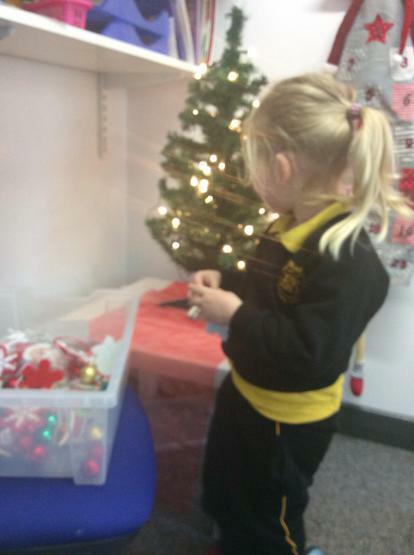 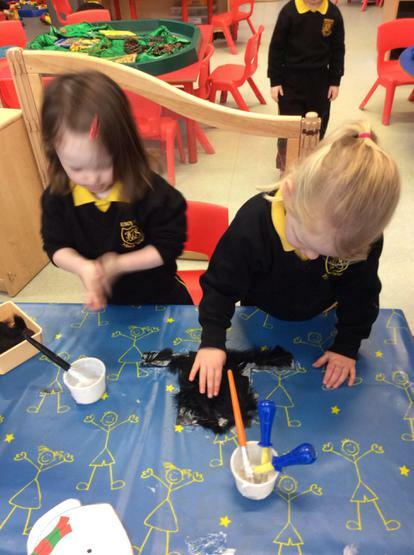 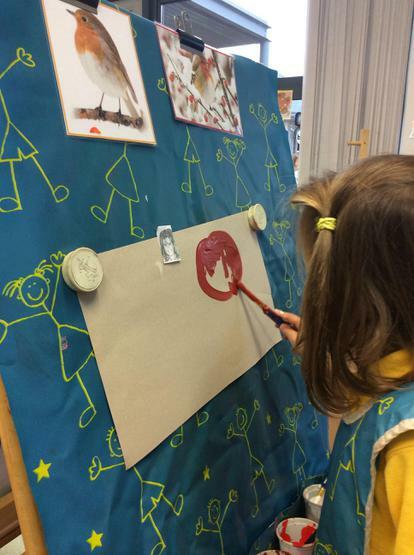 Creating our Winter display board!